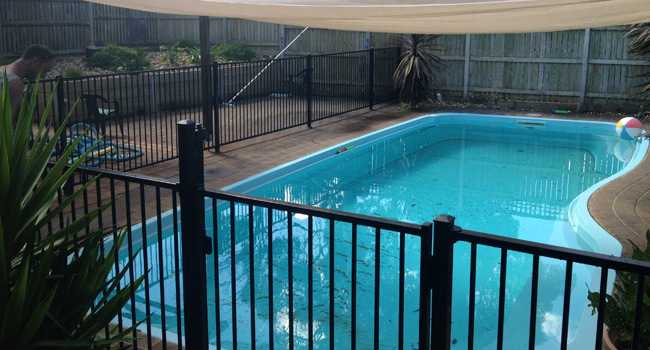 Shield Masters pool fencing is of the highest aluminium quality carefully constructed and installed by shield masters tradesman, available to be custom built to your specific needs or available in standard lengths, all fencing and gates meet Australian standards. Top and bottom rails are 38mm x 25mm with 16mm diameter tubes inserted at 100mm centres (90mm centres on Flat Top design). All panels, gates, posts and fittings are subjected to a chromate conversion process to AS3715 before being powder coated for total corrosion protection.